Biodiesel is a domestically produced, clean-burning, renewable substitute for petroleum diesel. Using biodiesel as a vehicle fuel increases energy security, improves air quality and the environment, and provides safety benefits. Biodiesel improves fuel lubricity and raises the cetane number of the fuel. Diesel engines depend on the lubricity of the fuel to keep moving parts from wearing prematurely. 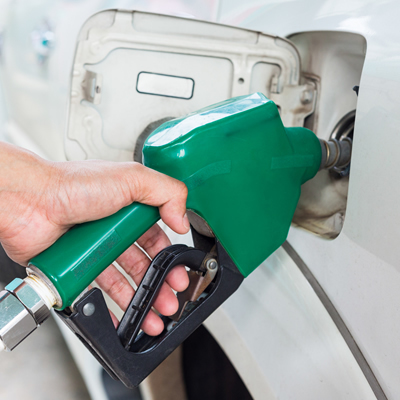 Before using biodiesel, check your engine manufacturer recommendations to determine what blend is optimal for your vehicle. There is something unique on pumps #7 and #8, something your tractor might enjoy! We supply off-road diesel for all of your diesel running farm equipment. Off-road diesel differs from “on-road” diesel as it is colored using a red dye and there is no road tax, thus it is only legal to use in your off-road equipment. You can fill your cans on pump #7 and pump #8 can take on the larger tanks with high flow.